At the Nottingham Robin Hood Half marathon 12 Ivanhoe runners turned out for this popular race. Alistair Chambers was first to finish for Ivanhoe in a swift 1:26:37. Patrick Horn was second in for the club in 1:36:10, ahead of Alex Dutton in 1:37:57. Sophie Cooper was first lady home for Ivanhoe with 1:50:11. New club member John Burton finished in 2:05:55 in his debut race in the blue vest. Carly Marie ran her first half marathon for Ivanhoe in 2:11:27, while Hannah Knowles returned to run her first race since April in 2:18:20. Grania Towle clocked 2:20:28, rounding off a busy month after her successes at Equinox 24 and National Forest way Ultra. Jessica Southwart showed that marathon training is paying off by clocking 2:21:23, knocking over 4 minutes off her previous personal best. With another PB, this time by a huge 8 minutes, Kim Harris crossed the line in 2:23:50. Mandy Morris and Sonia Hoult ran a steady 2:36:09/10 to round off the team. 3 runners ran at the Tissington Trail half marathon, a point to point race from Buxton to Ashbourne. Teresa Talbot led the trio in 1:57:21. Heather Swan crossed the line in 1:58:47, and Amanda Bradbury ran in 2:01:43. 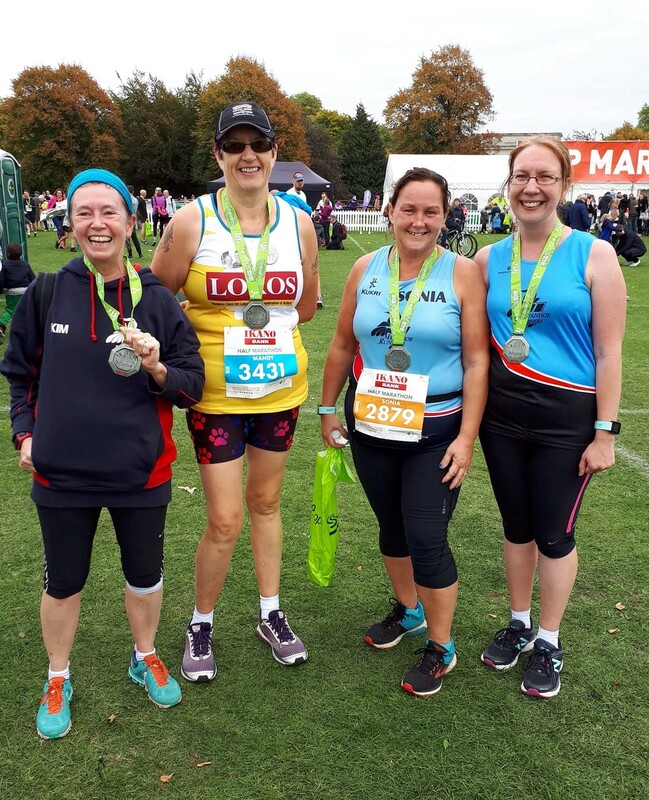 Elsewhere, Fiona Betts accompanied her brother around the Ealing Half marathon finishing in 2:18:22, while Mark Bradford and Julie Taylor took part in the Fell n Back at Buxton, a scenic trail race raising funds for the mountain rescue team, in times of 2:08:42 and 2:08:43.